It dawned on me that people may question why @LucyInBarrie is my Twitter handle, instead of something else. Many moons ago I worked for a graphics company. Not long after starting work there, I dyed my hair red. I mean, RED. One of the ink suppliers stopped by on his sales route one afternoon, and my boss said to him, “have you met Lucy?” It stuck. When I started at my current job 3.5 years ago, there was already another Kris, who was hired a whopping 5 weeks before I was. I was told I’d need a nickname so we could distinguish. The other Kris is a man, so I would have thought that was distinction enough, but anyhoooo…since I had this old work nickname it was resurrected. So Lucy it was. It still caused confusion. I was introduced as Lucy, but when people were told that “Kris” would follow up with them they thought this “Kris” was a real slacker since I did all the work. People were looking in the company email directory for Lucy, hilarious! He thought that it was because of Lucy in the Charlie Brown comics. Wicked little girl with black hair and a penchant for being nasty. Not me at all (at least the black hair). I’m not a redhead anymore, but that doesn’t seem to matter. Maybe the red hair just made it more obvious. I love making people laugh, even if it’s at something stupid I’ve done. 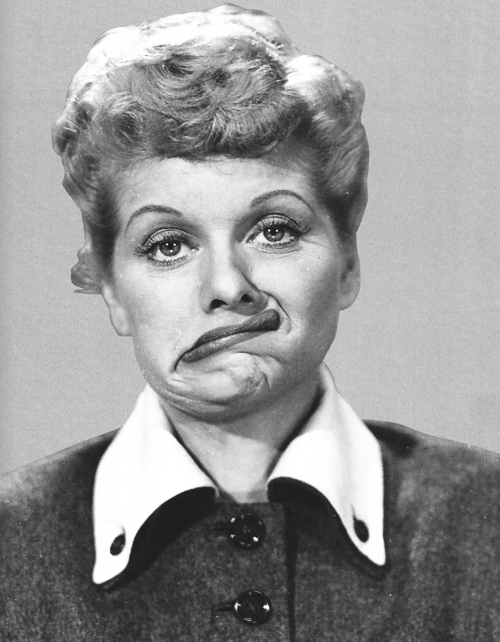 Lucille Ball was hilarious. 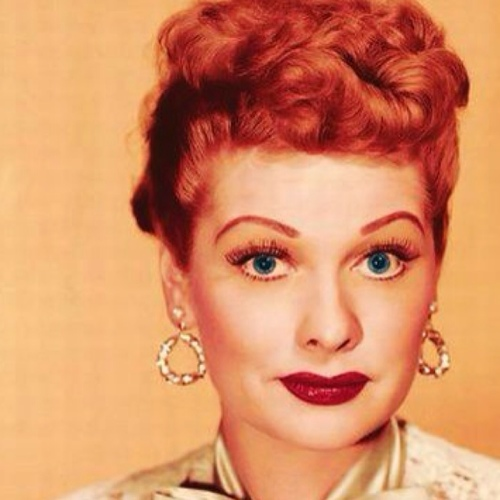 One of the first comediennes and an icon even today. Nothing better than making people smile. Laughter makes you feel good!